Tom Hanks and Abbi Jacobson may have been the billed headliners, but Lauren Groff was the real rockstar. It's often said that if you remember Woodstock, you weren't really there. A similar aphorism is true of this year's Portland Book Festival (formerly Wordstock): if you saw everything that you wanted to, you weren't really there. The lines for many speakers and panels were so long that in order to ensure a spot in the audience, you had to skip out on something else you wanted to see. That may sound like a complaint, but it surely isn't. 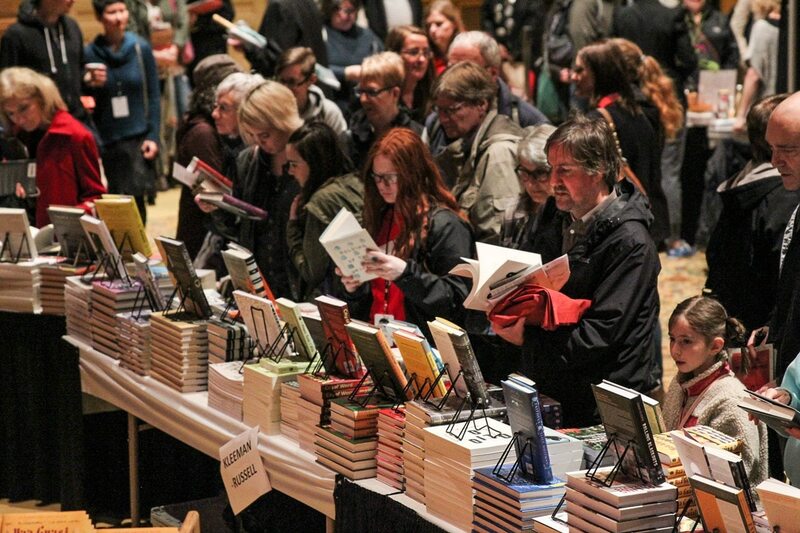 Portland is a literary town, and if you had any doubts about that, Portland Book Festival likely shooed them. Here are some highlights from the events I was able to attend. Orange's There There is a strong candidate for book of the year, but his talk at Portland Book Festival revealed a more intimate side of the author. In addition to writing hit books, he also composes abstract piano pieces. He hates being asked who his favorite authors are. He goes a little nuts without having something to work on. It was a very humanizing moment from one of contemporary literature's ascendant voices. In Like a Mother, Garbes takes readers on a scientific journey through pregnancy. For her pop-up reading, Garbes read a riveting section from the book on placentas, offering both fascinating descriptions of both sides of the placenta, and referring to it as the first negotiation between mother and child, before seamlessly segueing into an anecdote from her own pregnancy. As a palliative care nurse, Sallie Tisdale knows a thing or two about death. Her new book, Advice to Future Corpses, is just that—advice on how to die. During the question and answer section, she offered some revealing advice therein: embalming is the least environmentally-friendly practice, and cremation isn't great either. Tisdale recommends natural burial or water cremation, both of which have a low carbon footprint. In the abstract, Ronald Reagan's breakup of the air traffic controllers union in the early 80s was brutal, the death knell of American organized labor. But in his memoir about his father, Pulitzer-prize winning poet Gregory Pardlo gives this historical event a human face, describing the changes it caused in his father as only a poet could. In the chapter that Pardlo read, both his poetic skill and the depravity that Reagan's actions caused were laid bare. Tom Hanks and Abbi Jacobson may have been the billed headliners, but Lauren Groff, author of 2015's Fates and Furies and this year's short-story collection, Florida, was the real rockstar—the line for her talk with The Mars Room author Rachel Kushner wrapped around the block long before it started. Once underway, the pair did not disappoint. Kushner led a passionate diatribe against the California Department of Corrections—The Mars Room is partially about an incarcerated woman—while Groff answered every question with her signature wit. "It grew on me like a mold" she said of her home state of the last decade, the titular Florida. This conversation was recorded for Literary Arts' the Archive Project, and you'll surely want to catch a rebroadcast.